Last weekend was so much fun! Marin and I traveled down to Newport, KY to visit my parents and go to the Newport Aquarium. We head down on Friday evening after I left work, so we could get up first thing on Saturday morning and get the day started. We got up and had a big breakfast on Saturday morning, and then drove down to the aquarium around 10:00 am. It ended up being the perfect time to go because there were a lot of other families there with toddlers and young kids. 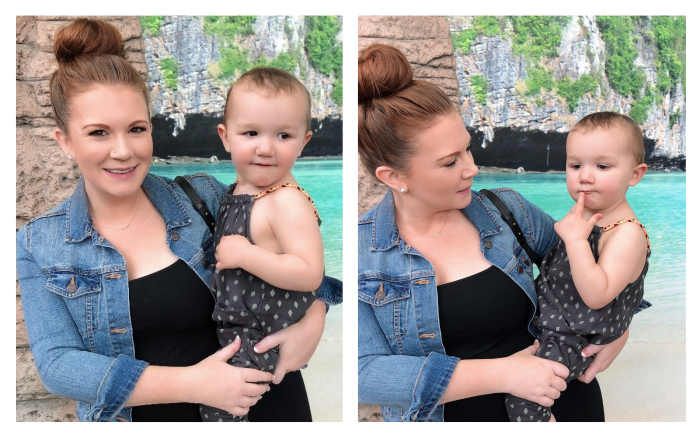 I was excited to take Marin because I feel like she is at the age (she will be 2 next month) where she can enjoy little trips and experiences like this, and really get something out of them. She was super excited right away. 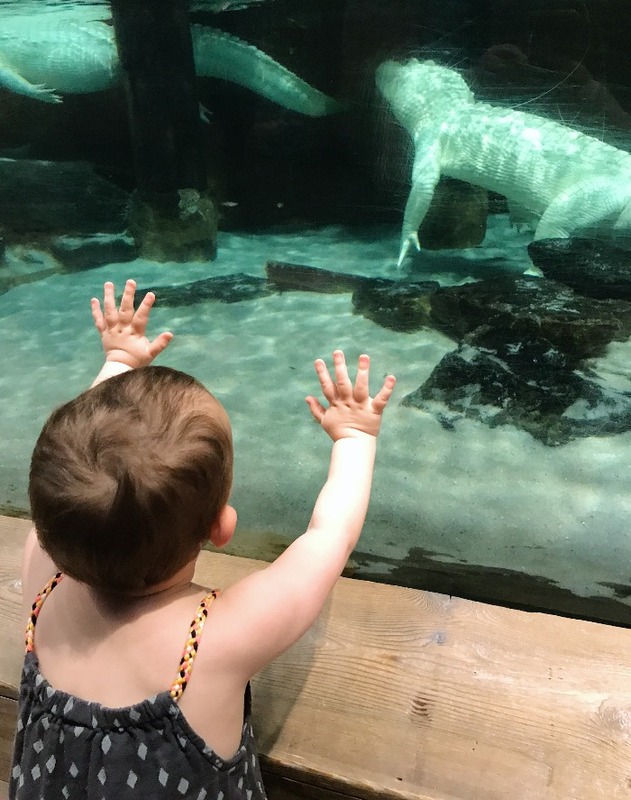 She loved running up to all the tanks and seeing what was inside. 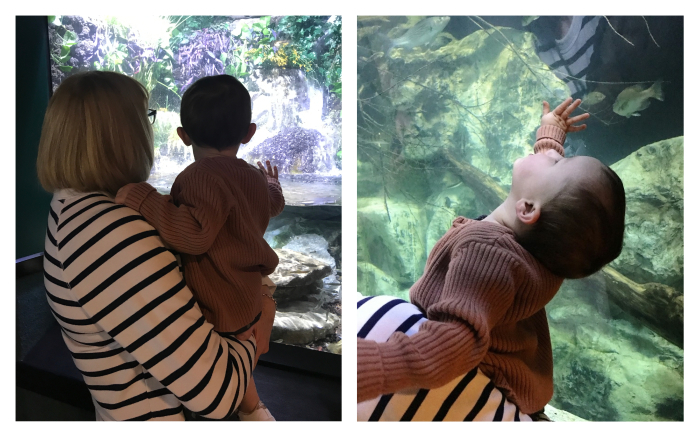 She was also mesmerized by the various tunnels they have that are tanks for bigger fish and sea life - arching over your head as your walk under. 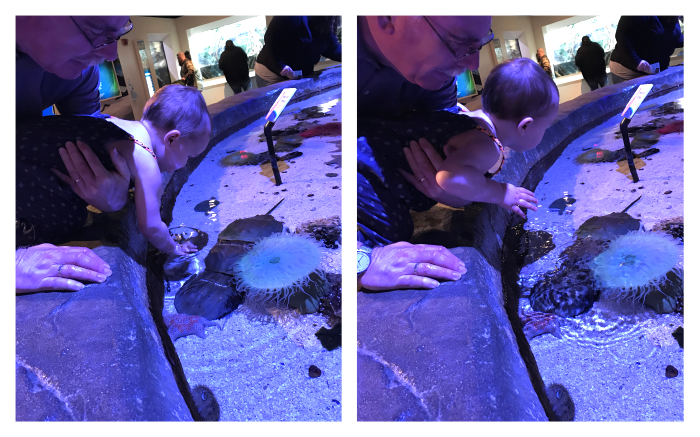 - Touch tank with stationary sea life (even though she couldn't reach deep enough to touch anything, she liked putting her hands in the water). - Turtles (shocked me)...at the tank she scrunched up her face and said, "I don't like that"! 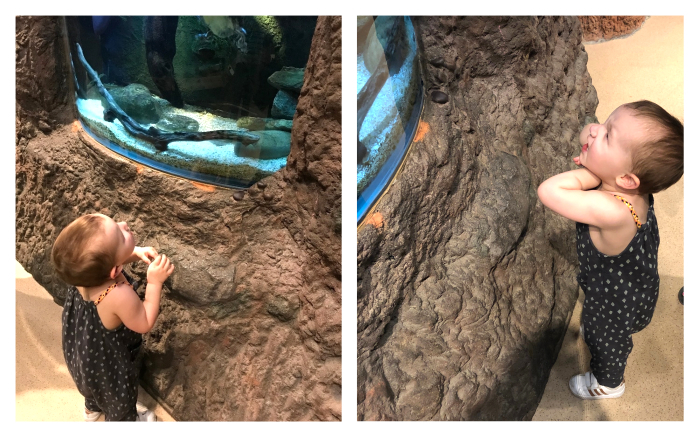 - Sting Rays...this was another touch tank and she liked looking at them, but they would swim up very close and pop out of the water to be touched, which caused her to scream, "NOPE NO NO" multiple times. Overall, it was a great trip to the aquarium - and we ended up spending about 2 hours there. I was happy with how long Marin lasted and how much she interacted with everything. She only started to get a bit fussy at the very end.